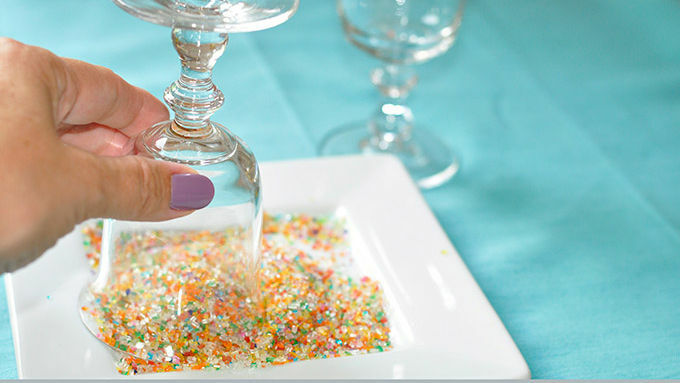 Optional: Rub a lemon wedge around edge of 2 glasses, then dip rims in colored sugar. Set aside. Add lemon juice and superfine sugar to a cocktail shaker and stir with a spoon until sugar is dissolved. 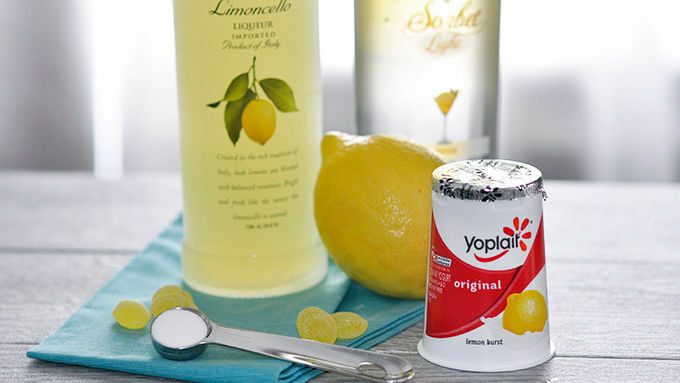 Add vodka, limoncello and yogurt, and shake until mixture is combined, smooth and creamy. Add food coloring (if desired) and shake until well blended. Add ice to halfway in the shaker and shake about 10 times to chill. Strain into prepared cocktail glasses. Garnish with lemon slices if desired and serve immediately. 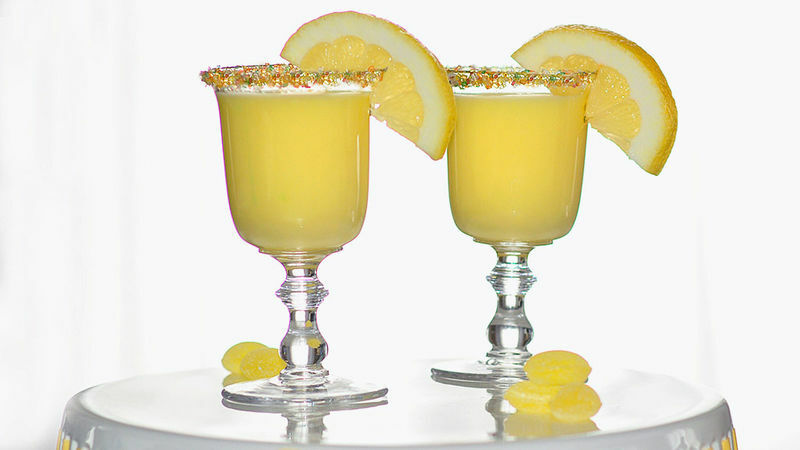 Substitute any citrus vodka you like for the lemon sorbet vodka – lemon, citron or even plain vodka work just as well. Triple sec can be substituted for limoncello if desired. Pour this liquid lemon cream in a glass and call it summer’s perfect sip. A little tangy, a little sweet and a lotta smooth. Pucker up, people—‘cause I’ve got a summer sipper for you that slides down just as easy peasy as lemon squeezy. 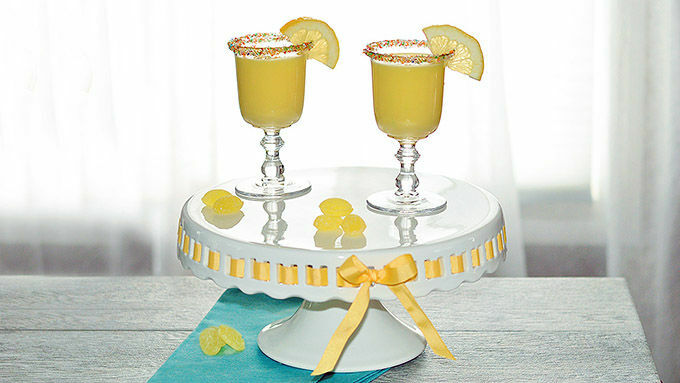 This riff on the classic clear Lemon Drop Cocktail is a great one for your backyard guests this summer. And, oooo, how it’d pair up with barbecue! It’s cool, creamy and delightfully dreamy. And, yes, I’m done rhyming now. Refreshingly tasty and summery, just as a lemon drop should be!